On 24 July 2018 the United Kingdom submitted to the World Trade Organisation (WTO) draft new national schedules of tariffs and equivalent charges on UK imports of goods, to come into effect when the UK leaves the European Union. Their contents will become public in due course. For now they are confidential to WTO member governments (including the EU27), who have been given three months in which to offer comments through the WTO machinery. This article explains why the UK initiative is necessary, and the procedures which it sets in motion. First we need to settle a frequent misunderstanding. Much comment in the UK has inaccurately claimed that if the country cannot agree with the EU on a long-term trade agreement by the end of the proposed implementation period at 31 December 2020, “the UK will be required to apply WTO tariffs” to its trade with the EU as well as with other countries. 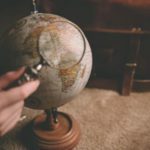 There is no such thing as “WTO tariffs”: the WTO does not itself determine tariff rates, and it does not require member countries to charge tariffs on their imports. Quite the reverse. Governments apply tariffs to imported goods exclusively at their own initiative and for their own reasons, mostly to protect domestic manufacturers of the products concerned against competition, but also for other reasons like revenue-raising or protection of public health. The central mission of the WTO, since its predecessor the General Agreement on Tariffs and Trade (GATT) first came into effect in 1948, has been to reduce, and where possible eliminate, tariffs and other barriers to trade through voluntary negotiation between the sovereign governments who are its members. It is, though, the case that if the UK reaches the Brexit date with no deal on future economic and trade relations with the remaining EU member states in place, UK exports to the EU will be subject to the appropriate tariff rates charged by the EU in its Common Customs Tariff (CCT). The UK will then charge whatever scale of national tariff rates it chooses on imports from both the EU and the rest of the world (in WTO jargon, so-called “most-favoured nation”, or MFN, rates). The WTO provides a well-understood forum for negotiations on tariffs and other trade matters, which have taken place in a series of so-called “rounds” since 1948. Once a country, or a group of countries in a customs union (such as the EU), has agreed on what tariffs or other charges it will apply to imported goods, it notifies these rates to the WTO in a special schedule. The schedule has to be approved by the WTO, and before that can happen all members have the right to comment and if necessary to seek negotiations over points that they find unacceptable. When the schedule is agreed, the rates are then “bound” (formally registered) in the WTO. If later on a member raises or proposes to raise a tariff or charge above the bound rate, other WTO countries which think that their trade will be adversely impacted by the change can demand to negotiate for compensating reductions in other rates of protection. It is, of course, open to any country, and welcome to the WTO, to charge tariffs at a lower rate than the relevant “bindings”, or to suspend them entirely. In 70 years of history, the GATT and the WTO have built up a structure of principles and disciplines on practical trade matters, extending far beyond tariffs. This is compulsory for all members and ensures that for the most part countries apply their trade policies transparently and even-handedly. WTO disciplines are implemented through voluntary cooperation and peer pressure by the members and underpinned by a comprehensive system for settlement of disputes which may be activated by a complainant country when its problem cannot be resolved by negotiation. 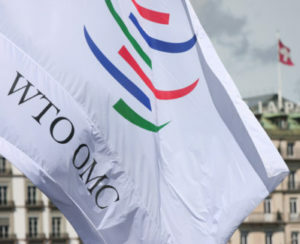 By now there is an extensive WTO jurisprudence, based on the precedents of hundreds of decisions by WTO dispute panels and the Organisation’s Appellate Body. The practice of “binding”, the requirement to offer compensation if bound tariff rates are increased, and the periodic rounds of trade liberalization negotiations have together created a downward ratchet effect which over time has reduced the average rate of tariffs applied by major developed markets to goods trade to around 3%. Much higher rates are nevertheless often applied to trade in “sensitive” items such as agricultural goods, textiles, and vehicles. And in various respects, more lenient treatment is accorded to developing countries because of their special economic and social needs. It is often said, again wrongly, that the UK will need to “join” or “re-join” the WTO after Brexit. In fact the UK is a member of the WTO in its own right, and has been since it first signed the GATT in 1947. So also are all the other EU member states, which have joined the GATT/WTO at various times since (the EU has insisted on WTO membership as a prior condition for EU accession). Member states are bound by the Union’s Common Commercial Policy (CCP). Under this they all apply the CCT together with centrally agreed procedures for the conduct of international trade. These are administered uniformly by the national customs and other regulatory authorities of member states, in cooperation with the European Commission. The Commission conducts all international trade negotiations on behalf of the Union as a whole, on the basis of mandates handed down by the Council of Ministers and under the supervision of the Council. When the Commission speaks in the WTO on behalf of all the EU member states, that is not a WTO requirement. It reflects EU internal law, and is a convention which is pragmatically accepted by WTO members. As for the UK, after Brexit its legal position in the WTO will be essentially unchanged, but operationally it will revert to a status in the WTO similar to its position in the GATT before it joined the EU. Since 1995 the WTO has presided over a separate agreement – the General Agreement on Trade in Services, or GATS – which embodies basic concepts and provisions, adapted from the agreements on trade in goods, to liberalise trade in services. These concern market access, commercial and professional travel and establishment rights for foreign services traders. Special WTO schedules set out members’ GATS commitments, and here too the UK will have to provide new schedules to replace (or perhaps reproduce) the EU schedules of commitments to which it currently subscribes. But it hasn’t done so yet, and services lie outside the scope of this article. What to cover in new UK goods tariff schedules? We do not yet know what the UK’s new draft schedules of goods tariffs contain, but the Government has already had to take a fundamental decision: whether (i) to draw up schedules of new tariff rates from scratch; or (ii) to stick to rates much closer to those in the CCT which the UK currently applies. The Government has been receiving a barrage of varying advice from academic, industrial and trading interests ranging from a group of prominent economists who insist that the UK should abolish all import tariffs and charges so as to let the market function with perfect freedom, to vociferous sectoral demands for continued (and in some cases no doubt increased) protection from competitive imports. Starting from scratch would be a herculean task since in principle it could require individual review and consultation for every one of the 5,000+ commodity headings and subheadings in the Harmonised System, in order to determine whether the UK had special interests. Of course in many cases the result might be, as now, to settle for a zero rate of duty; but the task would take years and the Government is highly unlikely to have embarked on it, though no doubt there have been intensive ad hoc reviews of, and consultations on, appropriate rates to be proposed for “sensitive” UK products and industries. Probably, therefore, the Government has carried out some version of option (ii); indeed, Ministers announced as far back as December 2016 that their aim would be to reproduce as far as possible the same tariff rates that the UK currently applies under the EU schedules. Doing this would have several advantages. First, it would avoid, or at least reduce, adverse trade effects from changes in rates, even if these were phased in over a period. Second, both UK importers and customs authorities would be able to continue working on the basis of existing systems. Third, as noted above all WTO members have the right to scrutinize the UK’s proposals line by line and to offer comments and objections. Minimising departures from existing CCT rates would reduce the occasion for such debates. On the other hand, the UK could run into difficulties if rates were proposed that increased the protection for specific items above the levels that the UK currently applies under the CCT. That could lead to demands for negotiated compensation by WTO members who considered that their trade with the UK would be adversely affected. Where a country (or a customs union such as the EU) wishes to restrict the import of a dutiable product – typically an agricultural product – in order to protect its own producers, but at the same time recognizes an economic or political obligation to one or more other supplier countries, it may opt to set up a TRQ for imports of that product. This means that it will accept imports up to a certain quantity either at a reduced rate of tariff, or duty-free. Imports above the quantity ceiling then attract the full normal rate of tariff. TRQs are notified to the WTO and included in the tariff schedules of the countries concerned. Currently, the UK participates in all relevant EU TRQs. As part of Brexit, it will have to bargain with the EU27 for who in future gets what shares of those TRQs. Depending on the respective trade interests of the two sides in a given product, this may not be easy. Even harder may be the ensuing negotiations with other WTO members which benefit from TRQs on exports into the EU. For example, a country which currently exports most of its sales of a given product into the UK would not accept the larger part of the relevant TRQ being assigned to the EU27; or vice-versa. For the moment the matter of future UK tariff schedules is in the hands of the WTO and its 163 other members, including of course the EU in this forum also. Given the volume of material which WTO members are asked by the UK to study, a period of three months in which to do that does not look generous, especially in the case of countries which have important trading relations with the UK at stake. The process will probably drag on beyond three months. Procedurally, the WTO will set up a Committee or Working Party to consider the UK’s submission. This will be open to all member countries which want to participate. Members will prepare lists of questions and follow-up supplementaries to the UK, which will provide written answers. In a series of formal sessions, UK representatives will be questioned in depth on these answers and on issues of concern that arise. Individual WTO members will also have the right to seek bilateral negotiations with the UK on aspects of the draft schedules, including in particular countries which stand to be disadvantaged by any increases in the rates of protection currently applied by the UK. 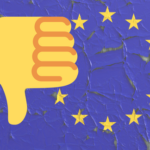 The Committee will report to the WTO General Council with findings on the UK proposed schedules, but whether this report can be ready for consideration before Brexit day in March 2019 is highly questionable. The messy but probable outcome may be that the UK schedules come into effect before WTO scrutiny is complete and before all the details – such as allocating shares in current TRQs – can be finalised. All this will go on in Geneva while in Brussels the UK and EU continue to negotiate on their future economic and legal relations. As those negotiations proceed, further issues of concern will arise which may well significantly prolong the WTO examinations and consultations. See separate article on What if Brexit leads to “no deal”? These schedules are based on the product classifications in the 99 chapters of the Harmonised Commodity Description and Coding System (HS), which is administered by the World Customs Organisation, and provides a basic common format. The HS was last updated in 2017. 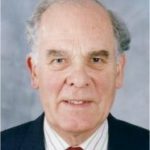 Michael Johnson was a senior official of the UK’s former Department of Trade and Industry, where he worked on international commodity policy, UK bilateral commercial relations with developed country markets, and the UK’s input to EU external trade policy. He is in demand as an independent consultant, and has advised governments of more than twenty developing or former Communist countries on trade policy formulation and on trade-related development projects. How can the UK be most effective in its new role as an independent member of the WTO?